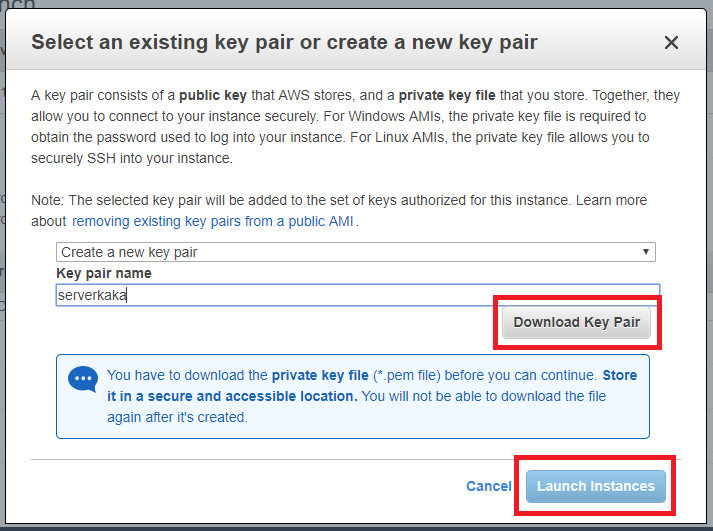 Log in to your AWS account and select which region, where you want to create your instance. Select EC2 service under Services menu. Select Instance type according to your requirement. Configure Security Group, Security group working like Firewall in your VM. You can enable or disable Port or IP here using create inbound and outbound rules. Please keep safe place your Key. View status of VM launching.